Home security makers are investing big in AI features, and Canary is no exception. After deploying person detection earlier this year, the company has rolled out a new app update that includes refinements to that feature, as well as more control over what your cameras record. Here's the changelog for the new Canary update. Introducing new controls for video recording and alerts! Canary devices can be set to record all motion, record people only, or not record. Motion alerts can be configured to alert on all motion, people only, or not alert. Away mode recording and alerts are now fully configurable for all users. Previously, Canary cameras recorded all motion detection events. Now, you can choose to record only people, nothing, or everything. Similarly, notifications can ping you for only people, all events, or none at all. 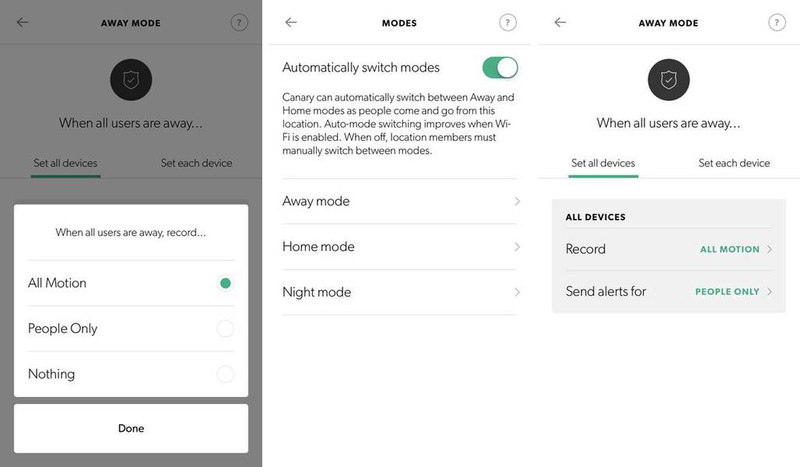 All users connected to your Canary cameras can also configure their own notifications, as well as home/away modes. The new update is live in the Play Store now. It works with the original Canary, Canary Flex, and Canary View cameras.